When talented young sportsman Ashley Palmer suffered a serious brain injury in a car crash, his family feared his life was effectively over. Left in a coma for six weeks, doctors feared he might not pull through. Even as he regained consciousness, he was unable to speak. 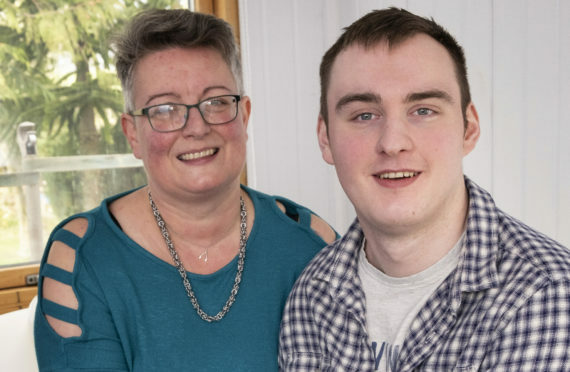 His mum Angela McIntyre told how he instead had to learn to communicate through blinking. “Just a simple blink told us that we were getting our son back. One blink for yes and two for no. Now, two years later, and after a remarkable journey of recovery, Ashley is determined to return to the sports he loves. The 24-year-old from Linlithgow had been trapped in his car after skidding off the road near Addiewell, West Lothian. The keen rugby and Australian rules football player had been coming back from the gym when he skidded on wet leaves. “We didn’t know anything about it until the police knocked our door at 3am that morning,” said Angela. 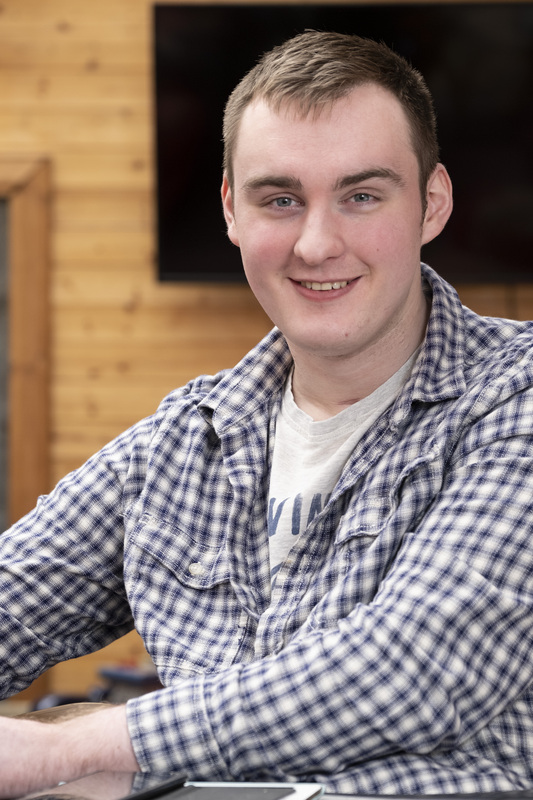 When they arrived at Edinburgh Royal Infirmary, Ashley was in intensive care, unconscious and in an induced coma to give his body a chance to survive. His spleen had already been removed to prevent him bleeding to death but a marked brain injury made doctors fear that he may not pull through. Ashley was transferred to the Intensive Care Unit at the Edinburgh Western Infirmary, where the family began a six-week bedside vigil. Within eight weeks he was living without life support. Angela said: “Over the next two years he would learn to walk, talk and step through the door of the family home again. “He survived on tube feeding and then pureed food but seven months after the crash doctors felt he was able to eat again. Now eating and communicating with his family, Ashley was able to take the first steps out of the rehabilitation unit that had become his home. He had already been transferred to the Astley Ainslie unit which specialises in patients with brain injuries. Eight months after the devastating accident he was allowed home for a day. Within weeks he was able to move back into his old bedroom, still adorned with his rugby pictures. It would have been easy for them to serve as painful reminders of what he once had. But instead they have provided goals for recovery. Vital physiotherapy and gym sessions twice a week are helping him back. “I realise that I am lucky to have survived and have worked hard to speak, eat and am now walking a few steps with a frame,” Ashley added. Ashley is as crazy about Aussie rules football as he is rugby. 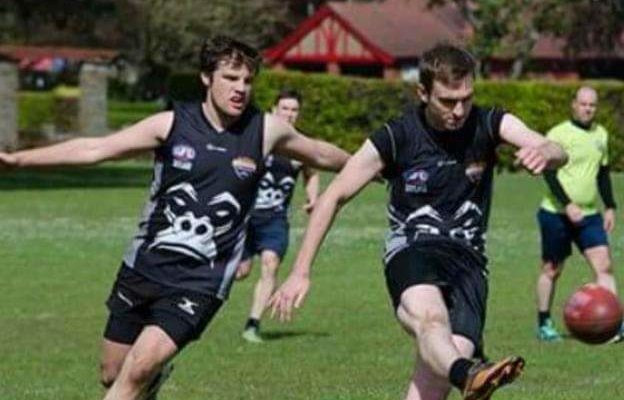 On Saturday, West Lothian Eagles Aussie rules football club is holding a tournament in his honour at Linlithgow Rugby Club. The Ashley Palmer Cup will see both men’s and women’s teams play against visiting sides, with Ashley throwing the first ball.